This result is given in the Aug. 1855 issue of the Chess Player's Chronicle, so I guess that it finished in Jul. 1855. 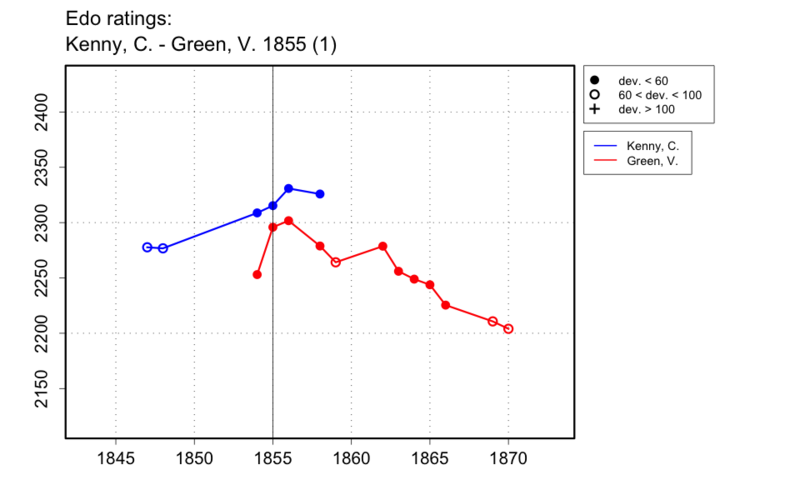 Green had apparently just won a previous match against Kenny: the 'deciding game', a win by Green, was given in the June 1855 issue (p.199), so probably finished in May 1855.